Your $30 registration amount includes lunch, tip, and tax. To use this registration, member login is required. Your $35 registration amount includes lunch, tea, tax, and tip. Your $40 registration amount includes lunch, tea, tax, and tip. Guests can attend up to 2 meetings. To attend more than 2 meetings, membership is required. Become a member and enjoy member rates. Plus - How to Get It All Done! The Leadership Impact Forum will inspire you to create or expand your legacy to impact communities that make a difference in the world... ! Join us for a project collaboration environment where our intention is to impact communities to make positive changes in the world. Our Leadership Impact Forums are a place to learn, ask questions, be inspired, collaborate, provide support, and focus on the bigger picture of who you are and what you are here to do. 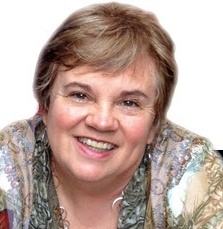 Marian LaSalle aka ‘By Your Side Guide’ is a business coach, author, podcaster, speaker, and trainer. She is owner of Tools Tips and Technology, WP Site Monitor and Painted Path Designs. She loves sharing the tools and tips of web design and internet marketing. She is also a Director for the Public Speakers Association and Co-Founder of Future Media Association. Marian loves to help her clients promote their businesses and passions using all the tools available on the web to reach their audience. With over 20 years experience in PR, marketing, and technology, Marian's specialty is training, speaking and consulting for small businesses owners. Marian LaSalle's companies support and protect business owners. Painted Path Designs offers WordPress website design, redesign, and updates in addition to their WP Site Monitor that offers WordPress site back ups, updates, and security. Painted Path Designs not only specializes in WordPress Websites, Blogs and Stores, but also Coaching, Mentoring and Training. Their training includes Content Marketing Training, WordPress Monitoring and Security, and SEO ~ Search Engine Optimization Training. They love what technology can do for all of us. Some of the ways that Marian gets to have fun is through her podcasts and videos. It's a way to share the easy technology tips that she teaches her clients (mentoring and coaching) and students everyday. She can take a new business from just an idea to full blown explosive growth by using WordPress software for websites and blogs, video, audio on demand and all the new technology she has at her fingertips. Registration Fee includes 2 course lunch, tea, coffee, tax, and tip.